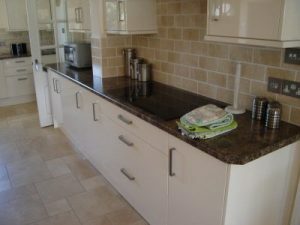 Have you just typed “fitted kitchens Poole” into your search engine in the hopes of finding the number one company in the area who can create a fully bespoke solution at a price that doesn’t break the bank? If that accurately describes your current situation, then you have hit the jackpot with Franks Maintenance Group. Call our friendly team of experts at your earliest convenience on 01747 826 656 to receive a free quote, no strings attached. Whether you want to overhaul your private residence or you are the representative of a restaurant looking for a full fitted kitchens Poole service, Franks Maintenance Group is the company you have been looking for. Regardless of the size of the project, we are confident that we can work towards a solution that will leave you amazed. 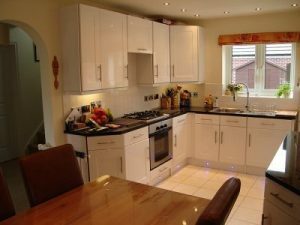 The designs for fitted kitchens in Poole that our expert contractors can come up with will be specifically tailored to your property’s layout and your personal tastes. The kitchen is one of the most important rooms in the house and many homeowners don’t realise the amount of unused potential at their property – this is where Franks Maintenance Group comes in. 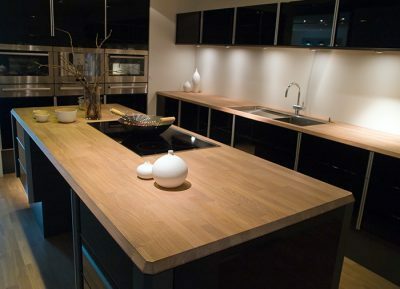 Our Poole fitted kitchens service is a complete one which means that we will be there every step of the way – from the initial design phase and worksite setup through to the installation and electrical process all the way up to the final handover. Here at Franks Maintenance Group, we are dedicated to all of your needs whether they be inside or outside your home. From refurbishment projects and fitted kitchens Poole to landscaping services and electrical work Bournemouth, we can really do it all. “We are extremely pleased with our new fitted kitchen. The work was carried out to a very high standard. The customer service was over and above our expectations and we would certainly recommend Franks Maintenance Group to friends and family. Thank you.” –John W.
Regardless of whether you have already benefitted from our Poole fitted kitchens service in the past or you are still in the process of choosing your ideal company, we would highly encourage you to spend some time looking through the rest of our easily navigable website for even more information about us as a company. 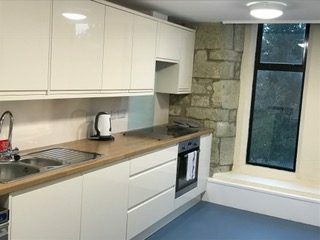 We have compiled some comprehensive overviews of our past projects related to fitted kitchens in Poole onto our dedicated case studies page. Don’t forget to also look through our virtual gallery – we are confident that you will get even more inspiration for your own undertaking by browsing the fantastic projects we have carried out in the past. Are you now convinced beyond a shadow of a doubt that no other company offering fitted kitchens Poole can compete with the customer service excellence and fantastic prices offered by Franks Maintenance Group? If so, then there are several efficient ways that you can contact us to book your new service. Please feel free to either call us on 01747 826 656, e-mail info@franksgroup.co.uk or fill out our online request form. We always respond to customer queries in a timely manner.